Thank you, sweet friend! I wish we could enjoy a bowl with chips, and beer together. 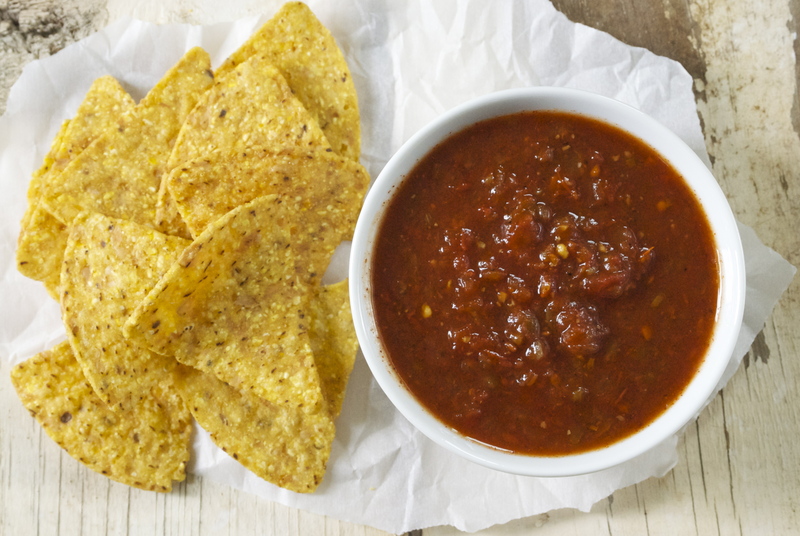 I just got through making a batch of fire-roasted salsa based on Amanda’s recipe, but if I get ambitious before too long, I’ll have a go at this one. I love the addition of ancho chili powder; I use this for all our chili making as it has such a deep, smoky taste compared to regular chili powder. Thank you for finally putting this together for your fans. 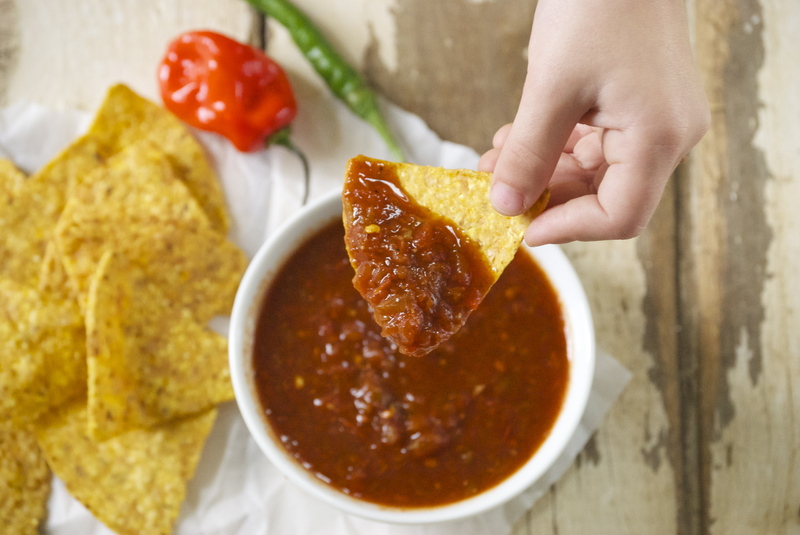 We loved the salsa you gave us last year. It was gone in less than a day. Thanks, Kate– hope you enjoy! The recipes looks fantastic! I will need to try making it. Yes do, Isidro! I think you’ll enjoy it! You rock. Thank you SO much!!! Ohh…you’re going to try out the salsa, Amanda?! This excites me– let me know how it goes for you! Hi Laurie, I am FINALLY making this tonight, with frozen tomatoes from my garden. Thank you so much for sharing your wonderful recipes! Hi Rumna! Thanks for stopping by. I hope you’re enjoying the salsa! My husband and I are going to can this this weekend. But, we’re both curious as to what kind the “12 chills” (not the habaneros) are. Are they Anaheim? Hi there! 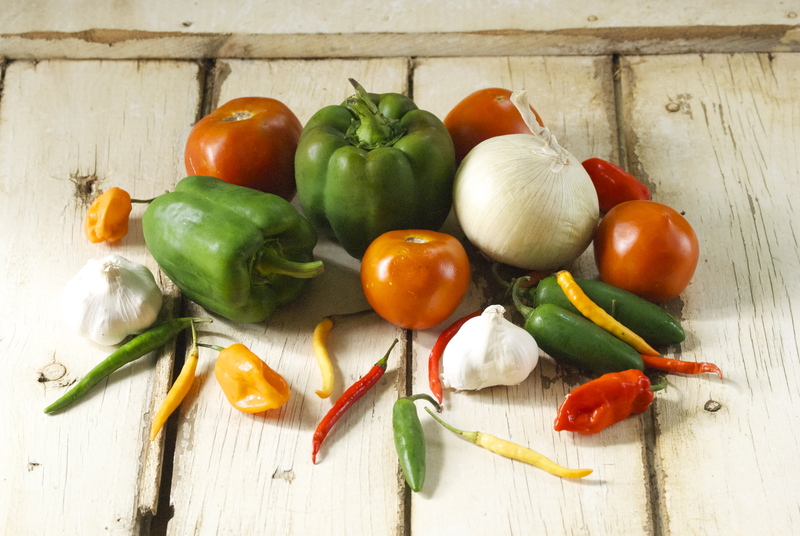 Happy to hear you’ll be making this salsa this weekend! Anaheim chilis would work (they’re on the mild side). Use whatever type of chili you can find (and one that has a heat level you like). Anything will work– good luck! I LOVE hearing this! So happy that you love it! I have been gardening and making salsas and hot sauces for thirty years. I was looking for a new recipe and found this one last night. I just finished making a double batch this morning. I’ll admit I tweaked your recipe a bit. I used a lot of mustard and chocolate habaneros that I roasted until they were blackened. I added ONE roasted ghost pepper, so I omitted the ancho powder as I thought it might be overkill. I also added a handful of lemon basil to give it some zest and make it pop. 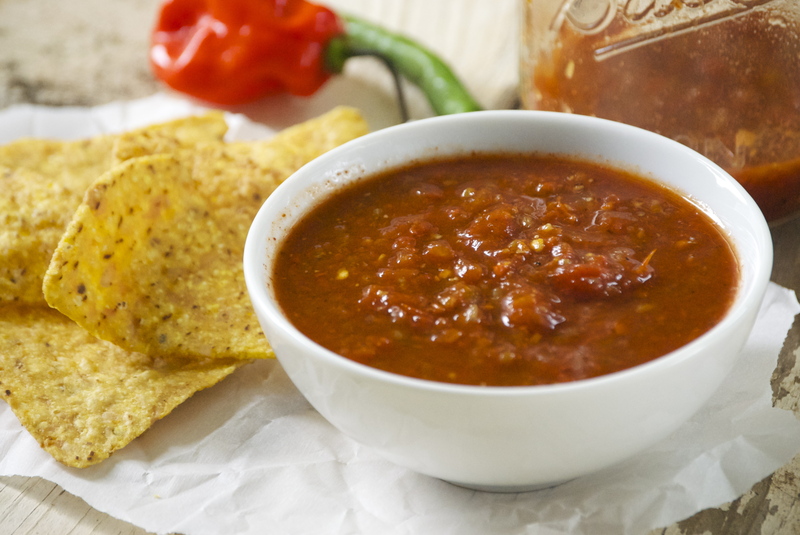 I have to say this is the best (and hottest) salsa I have ever made. My eyelids are sweating! Thanks so much. So, it’s a week after my last post and the salsa is gone. Everyone loved it and wanted a jar. The salsa I was able to keep for myself managed to find its’ way into everything from chili to stir fry to gumbo. Making more today, Thank you so much for this recipe! I am not able to print the recipe but I am going to make a batch. I have loads of Jalapenos, and beautiful Habaneros. I will let you know how its turns out. When using ghost peppers, how many would you use for the above recipe?? We’ve previously used a recipe that calls for jalapenos and were laughed at because it wasn’t nearly hot enough. This year I specifically grew ghost peppers in order to make a hot enough salsa for my crazy men-folk. what would you recommend?? Also, the last salsa was a bit vinegar-ie. Can one substitute lime or lemon juice for the vinegar and maintain the proper pH?? 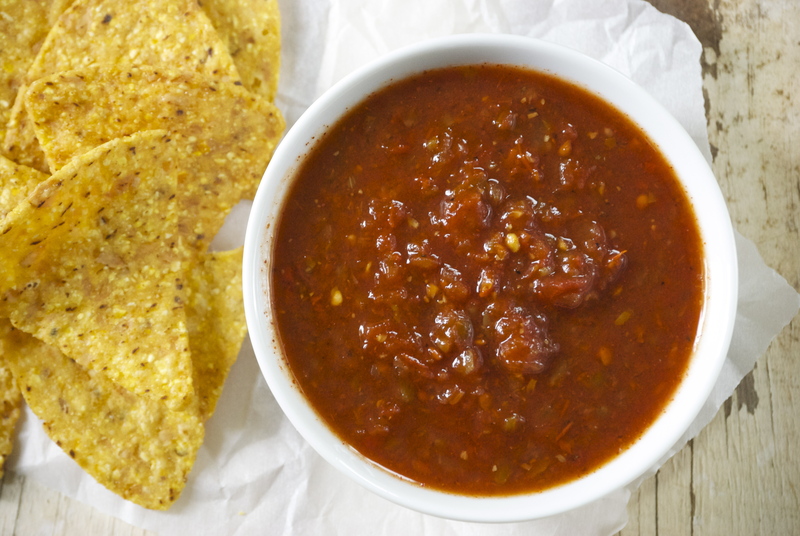 This is by far, one of the best salsa recipes ever! My only change was that I used 3/4 cup of cider vinegar. Since I’m a fan of really, really hot salsa, I added Trininidad Moruga Scorpion and Carolina Reaper Peppers. I made it real hot for my real hot fans; but, not so hot that you can’t taste the garlic, onions, and the other ingredients. I canned this heat so I can have it year round. Thanks for the recipe. 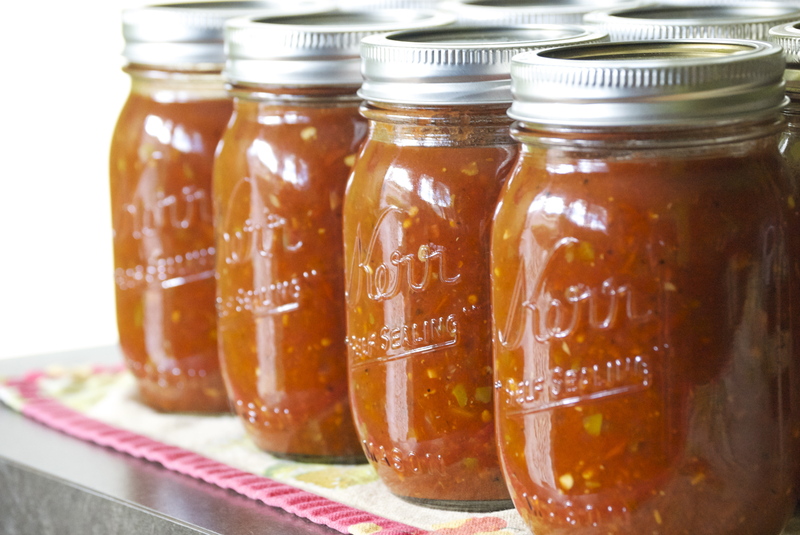 I made a batch of this today to make use of the bounty of habaneros, jalapenos, and Tabasco peppers from my garden. It is delicious!! So glad you tweaked the recipe, Laura, so your readers don’t have to. All the spices go so nicely together. I was leery about leaving in the habanero seeds (I left in the other peppers’ seeds) and I’m glad I didn’t include them. It’s plenty hot for us. Has anyone stirred in chopped cilantro when serving? Have you tried lime juice in place of the cider vinegar? I’m curious as to how that would taste, or if it would affect the canning of it? I haven’t tried lime juice with it before. I generally use that with fresh salsa instead. If you do, let me know how it works. Thank you and I generally make fresh salsa first time trying to do a canned salsa. I wil let you know how it turns out.